We just released a game for New Nintendo 3DS! 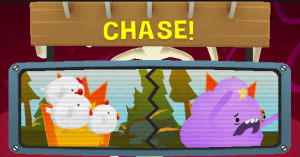 Scoop’n Birds is meticulously designed to be the greatest game ever made about scooping birds. Elegantly weave your scoop across the play area using your stylus in this frantic action game. Buy it today on the Nintendo eShop! At the end of last month, we participated in Global Game Jam 2016. The theme was “ritual,” so naturally we decided to make a game about decorating your house for the holidays. Except every day is a randomly generated holiday, with randomly generated requirements. Art is by David Freeman. Music and SFX by Kevin Green. We got 1st place at the local jam site in Tempe AZ! If you’d like, you can play the game yourself by downloading it for Windows here. It can be one or two players. It’s best to play with a couple of gamepads, but basic keyboard controls are functional and can be configured when launching the game. We’ll have info on our next actual project soon! This last weekend, Winston and I whipped together a 3D combat system for a 2 day game jam. We managed to get in stabbing, slashing, dashing, and a four-direction parry system. 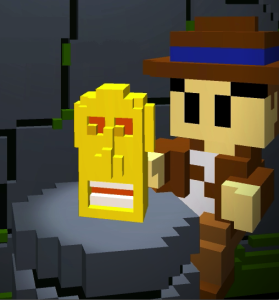 There’s a whopping 34 animations — done in just 48 hours! This isn’t going to turn into a real game any time soon, but it was pretty fun to make. It was a good excuse to learn about inverse kinematics. Time Tangle is out now! 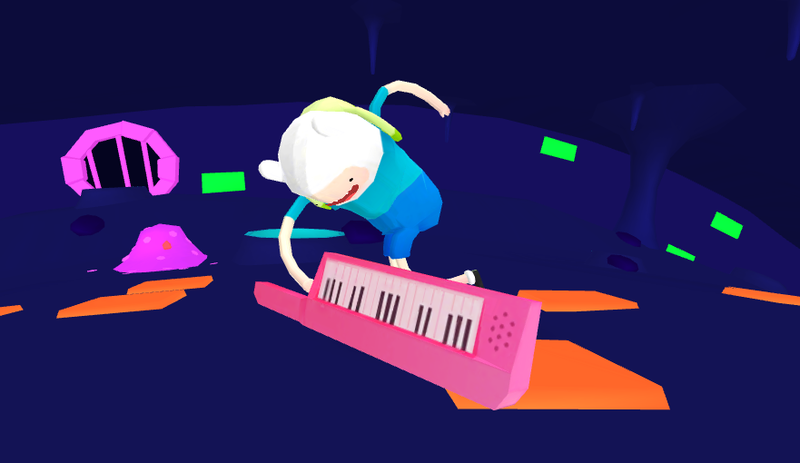 You can grab Adventure Time: Time Tangle starting today for your mobile thing of choice! This is by far the highest profile project I’ve had the chance to be a part of, so needless to say I’m pretty excited. Have fun, and be sure to leave feedback on your storefront of choice after trying it out! Punch a bunch of bad guys and break stuff to make coins fly out. Collect these coins to raise that treasure meter on the left side of the screen. If your treasure meter is full when you complete a quest, a chest will appear and you can select one of three randomly chosen pieces of equipment. Each one has a totally different effect! These range wildly from increasing the strength of your charge punches, allowing Finn to take more of a beating, sucking up nearby coins and collectables, increasing the strength of your friends’ abilities, and a whole bunch more. All of this gear stacks, so play well and Finn will soon be armed from head to toe with an eclectic assortment of makeshift battle equipment! 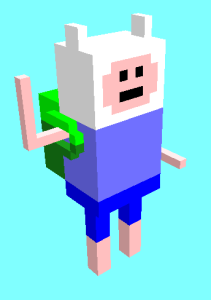 What will YOUR Finn look like? But look out! This fancy equipment is temporary, so Finn returns to normal when he eventually falls in battle. Time Tangle was designed this way for a few reasons. 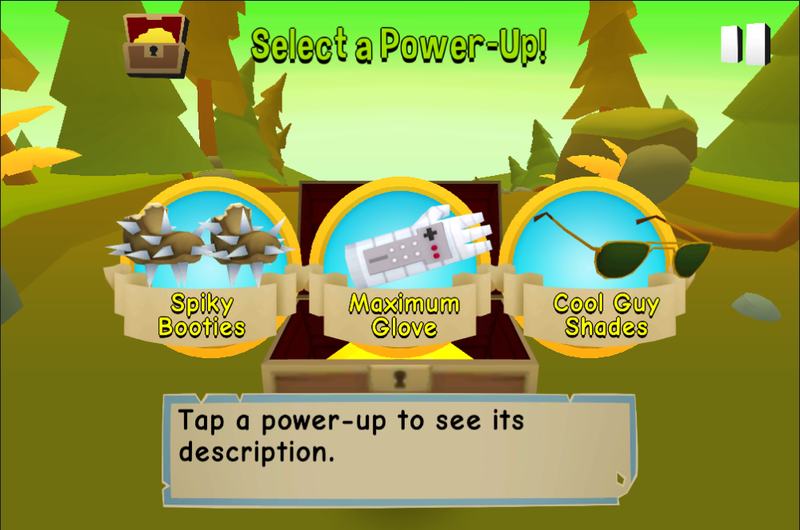 The equipment system in general provides a good reward for players who take bigger risks to break objects and collect coins rather than always playing it safe. 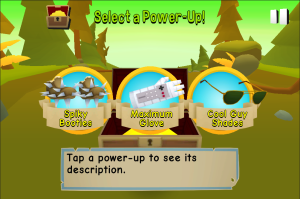 We give you a choice out of three possible items so that you sometimes need to make a tough decision between totally different power-ups that you like equally. We hope you’ll agree that it’s pretty dang fun to experiment with different builds and uncover the equipment that works best for your personal play style! As fans of Adventure Time, one of the most satisfying things about making Time Tangle was putting in all the special abilities for characters from the show. It works like this: during your random questing, you’ll sometimes find a mob of enemies chasing one of your friends (like say, a an angry flock of chickens going after Lumpy Space Princess), or a villain holding one of your friends captive inside a cage. Once you beat up the threat and save your friend, they’ll share an epic high-five and your friend will momentarily join you when you tap their icon. Jake the Dog works a little differently. As Finn’s best pal, he’ll track you down to various locations and wave you down. If you run up and high five him he’ll help similarly to other friends, except his special ability is contextual. This means he’ll help you in a variety of different ways depending on circumstances. During the planning phase of Time Tangle we started with a huge list of potential characters to include, then had to trim this list down to a manageable number. This was definitely one of the most agonizing decisions we had to make throughout the game’s development! In the end, we kept the friends who had the most interesting and unique abilities, weighed by our own personal bias towards favorite characters. We managed to fit in a few super niche favorites, so we hope big-time fans of the show will be pleased! When I first started talking with Cartoon Network about potentially creating an Adventure Time game, I had just released my endless runner parody Indiana Stone. We had a good workflow for creating voxel-style art (we called it “9-bit,” as in “8-bit to the next dimension.” I thought it was clever.) Naturally, we started off by exploring the possibilities of creating an Adventure Time game in the same style. Nine bits are better than a measly eight. So I sat down with my pal Nick Todd, who helped out with a bunch of the art in IStone to see whether we could get this to work. 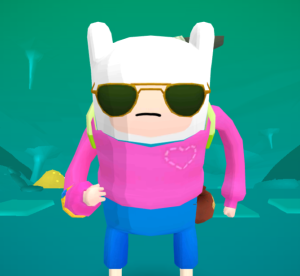 I thought Finn himself looked pretty cool! We were on our way to making some kind of Finnfinate Runner. The problem came the moment we tried piecing some environments together. Blocky environments have a lot of charm in some cases, but we decided that it’s definitely not the same kind of charm as The Land of Ooo. The decisive moment was when we compared the best fan-made Minecraft Adventure Time scenes with its source material. Never has it been more clear that Adventure Time needs its curves! First, we spent some time considering a derivative Adventure Time world similar to the Guardians of Sunshine episode from the cartoon. We couldn’t get any traction with this direction though; the game I wanted to make had to have the same type of energy as the most action-packed moments of the cartoon and this wouldn’t feel right if its art style were too far removed from the source. Fortunately, this is when I bumped into local 3D artist, fellow Adventure Time fan, and all-around good guy Winston Powell. His style was just what this game needed and before long we had a working prototype up and running! Next time I’ll write about early development and fill in some more details on how our game ended up looking the way that it does. As a game developer, where do you start when you want it to feel really good to punch things in the face? Without the right visual effects, a strong impact in a videogame is as satisfying as hitting a wall with a sock when it should feel like smashing a window with a waffle iron. Without the right audio effects, a strong impact is like slapping a fish when it should sound like a car accident crossed with a herd of lions. Action briefly pauses on the moment of impact, bringing attention to it. Stronger impacts have slightly longer pauses. During the pause, a splash effect is played at the point of collision. During the pause, the screen shakes. Its magnitude is based on the power of the impact. Gotta love screenshake. A good crunchy punch sound gets overlayed with the sound of the object breaking apart violently. As the action resumes, obstacle chunks finish flying outward and explode. In this game you can either throw quick jabs, or charge up your punch and unleash a charge move that breaks through walls and sheer rock. The idea was to make it feel good to run around punching stuff, but to feel particularly good to wind up a powerful attack and destroy whatever you want. It’s like an all-you-can-punch buffet! I hope you’ll look forward to punching all your worries away when Time Tangle comes out this summer. In the meantime, what’s a game you’ve played where hitting stuff felt super satisfying? Leave a comment below! It’s no secret that Time Tangle is a spiritual successor of sorts to my last game, Indiana Stone. They’re both fast-paced, high-energy action games where skilled players are rewarded by being able to blast forward at top speed and bust through oncoming obstacles. So what kind of changes have been made to the formula? Well, I could get into the random quest system that constantly switches up your objectives. Or the quasi-roguelike-inspired gear that you can earn and equip to compliment your play style. Or the large number of familiar Adventure Time friends you can rescue and use as power-ups, as well as the familiar Adventure Time baddies that show up as epic bosses. With any luck I’ll get to some of these topics in due time! But if I were to pick the characteristic that best distinguishes this game from Indiana Stone, it would be the way that Finn interacts with the environment by punching stuff. We spent a lot of time tuning the feel and follow-through of Finn’s jabs and power punches, the feel of collision, and the way that pieces of the environment bust apart and explode. 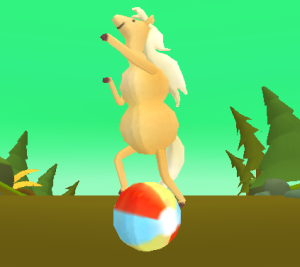 In my next post I’ll go into more detail regarding the challenges we faced making it feel awesome to punch things in the face, and the solutions we came up with. In the meantime, be sure to check out the game’s reveal trailer if you missed it. It’ll give you a good sample of some content!